Misr International University is always keen to participate in community service events and projects. 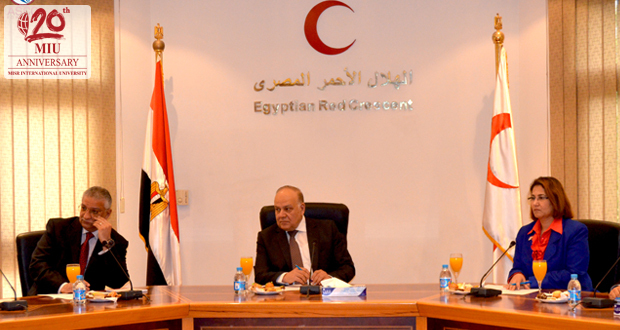 Thus, MIU has decided to participate with the Egyptian Red Crescent in the first National Conference under the slogan “Egyptian Youth Volunteering for a Better Future,” in collaboration with the UN Volunteers program, on 26th March 2016 at the ERC headquarters in Nasr City. 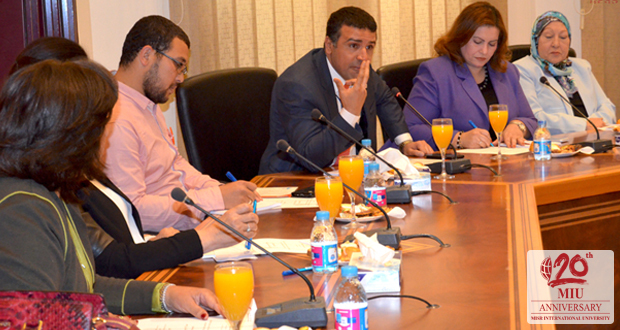 The participants included representatives from the Ministries of: Social Solidarity, Youth and Sports, Health, Higher Education, and Education; presidents of Egyptian public and private universities; NGOs engaged in volunteering and humanitarian assistance; public service organizations; and concerned UN agencies. MIU’s students and the Community Service and Environmental Affairs Committee as well as students had their role in the conference. 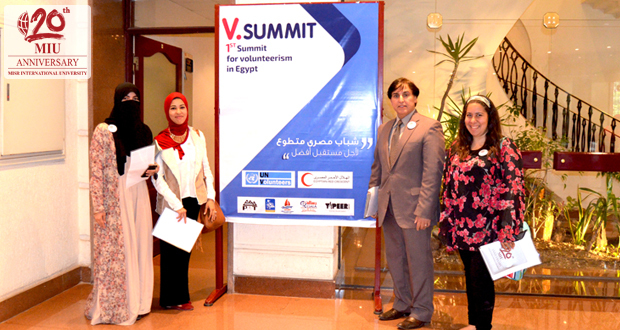 The conference discussed volunteering activity management and challenges in Egypt with the aim of encouraging youth to get involved in volunteering activities and humanitarian action. The conference also tackled the challenges volunteers face as well as the laws and regulations organizing civil action in Egypt. Finally, the conference aimed at increasing youth social inclusion and active participation and providing updates on volunteering and humanitarian action.